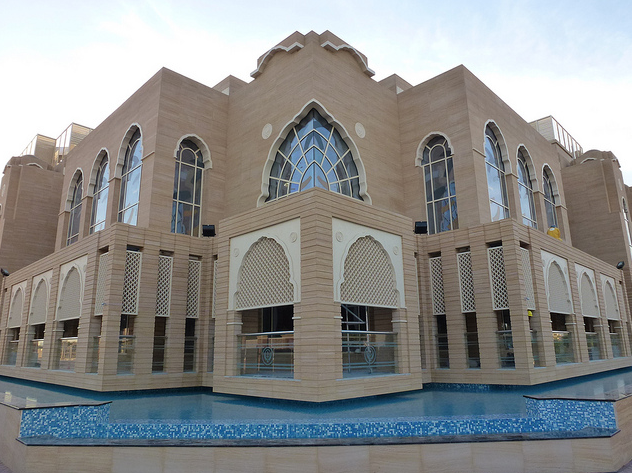 Guru Nanak Darbar Gurudwara is Dubai’s first Gurudwara, infact the first in the Gulf region. 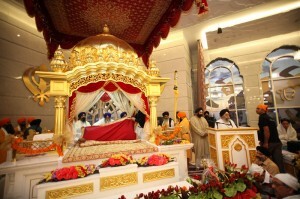 It has been welcomed by the 50, 000 Sikhs living in the area, serving as a source of religious guidance, inspiration and resource centre for the community. 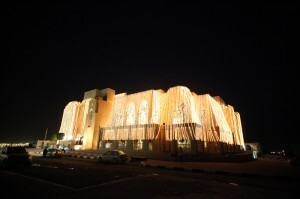 The Gurudwara was opened on January 17. 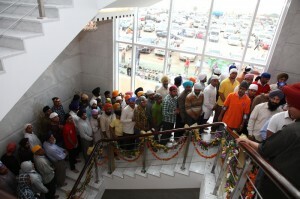 The concept and the driving force behind the Guru Nanak Darbar Gurdwara is an NRI, Surinder Singh Kandhari. 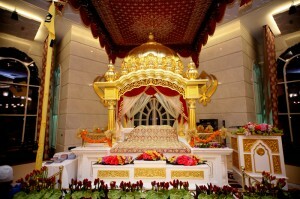 The $20 million Gurdwara is stunning with Italian marble Ornate 24-carat gold canopies for the Guru Granth Sahib, 24-carat gold canopies, Italian marble on the walls and floor, chandeliers and a top of the class kitchen which serves the Langar. There is also a huge parking lot for the sangat so that there are no issues with respect to parking. “We didn’t want to compromise on anything. It has the latest Italian marble and best lights. I told the contractor I want a 100-year guarantee for the building so that our future generations are able to utilise it,” stated Kandhari, who himself is the chairman of the Al Dobowi Group that manufactures and distributes automotive batteries and tyres. 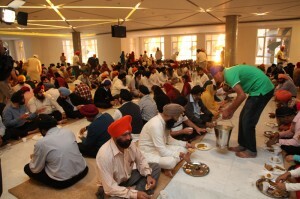 Thousands of Sikhs visit the Gurudwara every week. 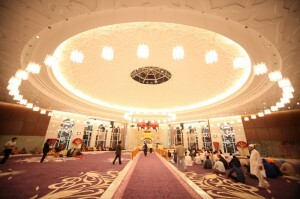 Apart from the main prayer hall, the complex also houses a meditation area, library, langar hall (kitchen), and other smaller rooms. 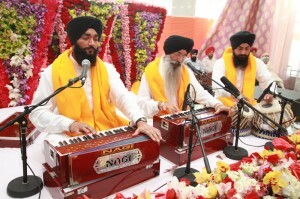 On the weekend, there are classes for the kids to learn about their religion, learn kirtan, and Punjabi classes. Kandhari explained that he would like to build a hospital for the poor in Dubai with the money raised from the Gurudwara. A kind gesture indeed.